The book had quite a long journey to publication, even given the usually long time periods associated with the business. From the planning stage to the final edit, the process was about three years. You write short stories regularly – just to mention UK`s The Fiction Desk or Press Start to Play in US. Which one do you prefer - short stories or a larger scale projects? What are the pros and cons? Short stories for me were initially a sort of apprenticeship, a way to find my voice, experiment with different styles. I could tell I probably needed to write a novel when the short stories I was writing kept getting longer. Novels are quite the commitment, so in that respect you have to make sure you when you settle on something it is the right idea. I often explore multiple ideas in my head for months before settling on one. With short stories, they are easier to abandon if they aren’t working, so you can dive in straight away with the writing. It’s nice to be able to play with different genres too, which is easier to do in short fiction. In fact, I had a ghost story published in Poland just recently in Nowa Fantastyka. Whether I have a preference for short fiction or novels probably depends on when you ask me. I always have an itch to write short fiction after finishing up a novel. For me “The Killer...” is a very intense story. This reunion of old friends that goes wrong is quite the thing. Was it difficult to maintain that tension? Thank you for saying. While the book has a “high concept”, I wanted to ground it in the real world, and for the tension to flow from the relationships. I think walking that line between realism and maintaining tension took lots of work and patience due to all the characters and timelines. Certainly as often the book relies on the reader’s investment in the characters as lots of small interactions gradually build up to something unthinkable. I tried hard not to force anything in the story that wasn’t built into those character’s personalities. And if a character acts in particular way in the adult section, I would try to foreshadow that in the childhood section. Ha ha, well I think when I write I can’t help but draw in a general way from the people I have met in my life, but there is no one specific I used to create any particular character. I’ve definitely had “interesting” neighbours in the past, but no one quite like Mr Strachan, thankfully! I tend to have a sense of a character before I write, but it’s generally in the writing that a character comes to life. I did a bit of acting when I was younger, and that’s the closest thing I can compare it to. I’m working on something at the moment where a character just sprung into existence, and now I’ve had to rewrite half the book from her perspective because she was so fun to hang out with. Do you put some of yourself into your characters? Again, I think you can’t help but draw on your experiences, but there wasn’t anything specifically in this book. Which is a good thing, as I’m quite a boring person really. I probably wouldn’t have even shown up to the reunion! I’ve always liked to write, ever since I was little. But I started letting people see my writing about seven years ago. I spent a lot of time reading about writing, and experimenting with short stories before starting to submit them. Why do you write? What or who inspired you to become a writer? Like so many writers, I was a Stephen King fanatic from a young age—and he is still a huge inspiration. Although the seed was probably sown even earlier with Roald Dahl and hearing stories of the writing shed at the end of his garden. I’ve probably got a screw loose somewhere, but I’ve always been driven to write. I’ve tried analysing it, but it’s just sort of there in me, I think. How do you write? Do you plot your story in advance or you just write and see where it goes? A bit of both. I like to plan the party to avoid disaster, but then I let the guests do what they want once they arrive. No matter what though, the party ends at midnight prompt. What was the most difficult scene of “The Killer...” for you to write? The one that I kept coming back to was the reunion scene, and I wrote lots of versions to get the balance right. It needed to be just so, because the rest of the novel flows from there. If it’s too coincidental that Will is involved, the novel ends there and they all go home. If it is too obvious Will is guilty, they would immediately go to the police. And you have to weigh up the natural scepticism you would feel in such a situation against the mysteries of group dynamics. That scene got changed on almost a daily basis as it is so connected to everything else in the book. Could you please walk us through your typical day when you write? Any special routine, favourite place? I try and write twice a day if I can, once first thing in the morning and once in the afternoon. I am lucky enough to have recently moved into a house with an office at the end of the garden, so I’ve now got my own Roald Dahl-style writing shed after all these years. Have you ever played any twisted game (like the one in the book) with your gang? Although not quite as twisted, made up games were a huge part of my young life, for sure! One thing I did draw a lot from was from my own experiences living out in the countryside as a bored teenager; in fact Blythe is similar to one of the villages in which I lived where there is literally nothing for miles. My friends and I played all sorts of games out in the fields to help pass the time. It was that or read books, which I also did a lot of! I’ve mentioned Stephen King, and that is true admiration—because everything he does on and off the page is pretty inspirational. 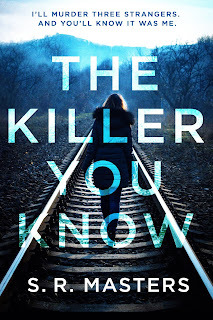 In fiction, I love what Gillian Flynn and Caroline Kepnes are doing, and can’t wait to read their next books. And I admire a lot of non-fiction writers too, like Jon Ronson, George Monbiot and Julian Baggini; all three are cool heads in heated times. Which fictional character would you like to have a pint with? Oh, things are quite hectic at the moment—so someone quite chilled out with a grain of geek running through them. Laid back but with some chat. Maybe Rob from High Fidelity. 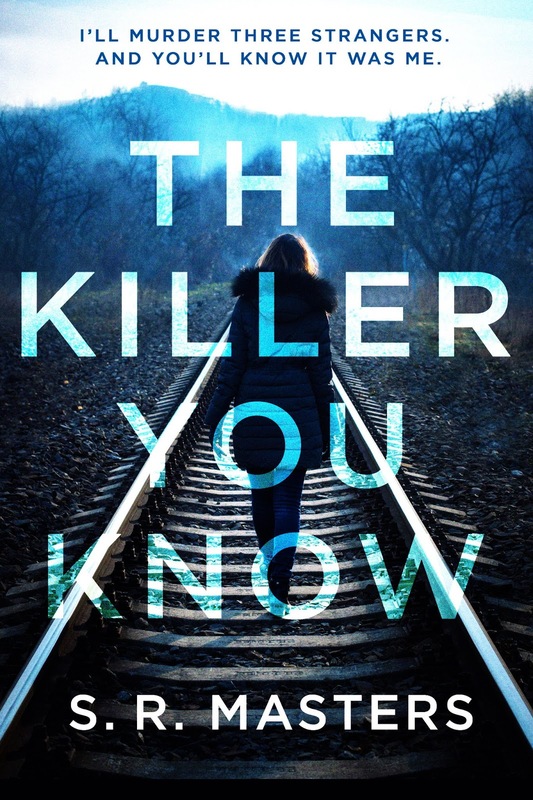 Next up is the UK/US release of Killer, which I’m very much looking forward to. 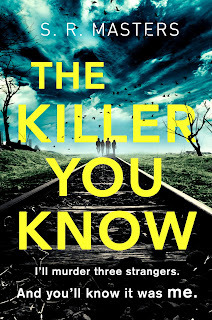 I’m also working on two standalone novels at the moment, one of which is set in the village next door to Blythe and might well contain a few familiar faces to readers of Killer.